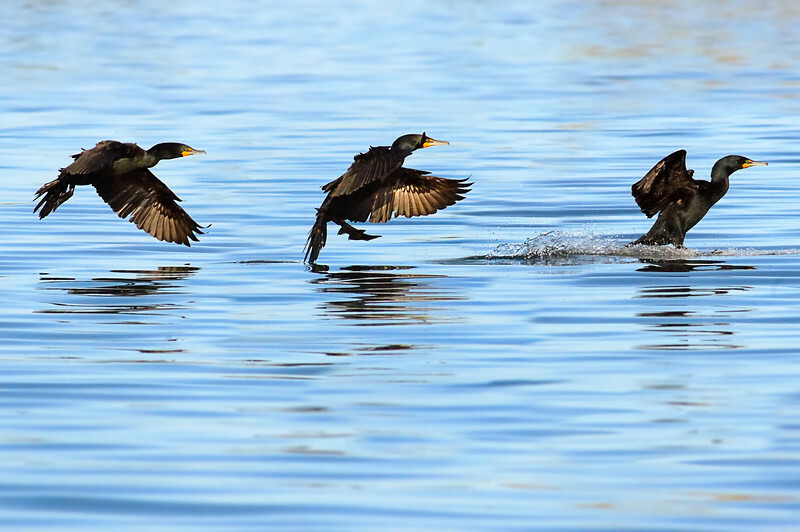 A composite image constructed from three frames in sequence of a single Double-crested Cormorant landing. It took a good bit more work to blend the three frames than I had anticipated when embarking on the project. Next time a triptych, hah. Please view large and let me know your thoughts.